The Northrop YB-49 was a prototype jet-powered Flying Wing heavy bomber aircraft developed by Northrop for the United States Air Force shortly after World War II. It was the jet development of the piston-engined Northrop XB-35 and YB-35 Flying Wing, and the two YB-49s actually built were both converted YB-35 test aircraft. The jet-powered Flying Wing never entered production, however, being passed over in favor of the more conventional but obsolete Convair B-36 Peacemaker propeller-driven design. With the XB-35 Flying Wing program seriously behind schedule by 1944, and the end of piston-engined combat aircraft in sight, the production contract for this propeller driven type was cancelled in May of that year. Nevertheless, the Flying Wing design was still sufficiently interesting to the Air Force that work was continued on testing a single YB-35A production aircraft. Among the aircraft later completed were two airframes that the Air Force ordered be fitted with jet propulsion and designated as YB-49s. The first of these new YB-49 jet-powered aircraft flew on 21 October 1947 and immediately proved more promising than its piston-engined counterpart. The YB-49 set both an unofficial endurance record of staying continually above 40,000ft (12,200m) for 6.5 hours. On 4 February 1949, it flew from Muroc Air Force Base in California to Andrews Air Force Base near Washington, D.C. in 4 hours 25 minutes. The return flight from Andrews was marred when four of the eight engines had to be shut down for oil starvation. Inspection after a successful emergency landing at Winslow Airport, Arizona revealed no oil had been replaced in these engines at Wright after the Muroc-to-Andrews leg, raising a suspicion of industrial sabotage. The Air Force engineer in charge of this detail became ill shortly before the scheduled departure and did not accompany the YB-49 back to Muroc. He later died in a motorcycle accident under mysterious circumstances. The second YB-49 was lost on 5 June 1948, killing its pilot, Major Daniel Forbes for whom Forbes Air Force Base was named, Captain Glen Edwards, copilot (after whom Edwards Air Force Base is named), and three other crew members, one of whom, Lt. Edward Lee Swindell was a crew member on the Boeing B-29 that assisted Chuck Yeager in breaking the sound barrier in the Bell X-1 aircraft. Their aircraft suffered structural failure, with both outer wing sections becoming detached from the center section. Speculation at the time was that the YB-49 was lost due to excessive pullout loads imposed on the airframe when a planned stall recovery resulted in a high speed, nose-over dive. The post-stall high speed dive resulted from the Flying Wing's clean, low-drag design, which gave it a rapid speed increase in any type of dive. The last operational YB-49 prototype was destroyed on March 15, 1950 during high-speed taxi trials at Muroc Field. The nosewheel began to encounter severe vibration problems and finally collapsed. The aircraft was completely destroyed in the ensuing fire. The taxi trials took place with the YB-49's fuel tanks full, an unusual testing procedure, fanning further speculation of industrial sabotage of the aircraft. The Air Force ordered the remaining uncompleted YB-35 piston-engined airframes be completed as production B-35B aircraft. Bombing target tests showed a tendency of Flying Wings to "hunt" in yaw after turns and when flying in "disturbed" air, degraded bombing accuracy. It was thought that one of the new Honeywell autopilots, with yaw damping, would correct this flaw. One YRB-49A had been completed when, in September 1948, the Air Force ordered the type into full production as the RB-49A reconnaissance aircraft. 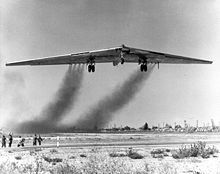 It was powered by six jet engines, two of them externally mounted in under wing pods, ruining the Flying Wing's sleek, aerodynamic lines, but extending its recon range with the additional fuel carried. During early 1950, the remaining YB-35Bs airframes being converted to YRB-49As were scrapped. Flight testing of the sole remaining YB-49 prototype ended 14 March 1950. On 15 March 1950, that program was cancelled, and coincidentally, that last YB-49 prototype suffered a high-speed taxiing accident and, as previously noted, was totally destroyed in the ensuing fire. But only two months later, all Flying Wing contracts were cancelled abruptly without explanation by order of Stuart Symington, Secretary of the Air Force. Shortly thereafter, Symington also turned down a request from the Smithsonian for the Air Force to donate one of these big wings to its collection of pioneering Northrop aircraft designs. Northrop's entire Flying Wing program may have been terminated due to its technical difficulties and the program being behind schedule and over budget. Another possible contributing factor to the program's cancellation may have been the tendency of Northrop to become engaged in many experimental programs, which spread its small engineering staff far too wide. While the competing propeller-driven Convair B-36 "Peacemaker" was an obsolete WWII design by this time, and had been having just as many or even more development problems, the Air Force seemed to have greater confidence that its more conventional design and "teething" problems could be overcome, when compared to those of the radical Flying Wing. This conclusion effectively doomed the jet powered Flying Wing program. But in a 1979 videotaped news interview, Jack Northrop broke his long silence and said publicly that all Flying Wing contracts had been cancelled because Northrop Aircraft Corporation had refused to merge with competitor Convair at Stuart Symington's strong suggestion, because according to Jack Northrop, Convair's merger demands were "grossly unfair to Northrop." A short while later, Symington became president of Convair upon leaving his post as Secretary of the Air Force. 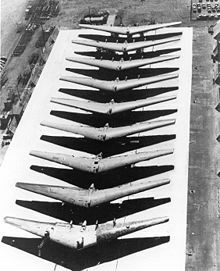 All remaining Flying Wing bomber airframes, except for the sole YRB-49A reconnaissance version, were then ordered chopped up by the Air Force and the materials smelted down with portable smelters brought to Northrop's facility. Jack Northrop and his employees could only stand by and watch. 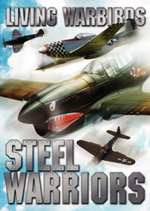 Northrop retired from both the company he founded and aviation shortly after he saw his dream of a pure, all-wing aircraft destroyed. In an interview for The Discovery Channel's documentary "The Wing Will Fly", his son, John Northrop Jr., recounted his father's devastation and life-long suspicion that his Flying Wing project had been sabotaged by political influence and back room wheeling-and-dealing between Convair and the Air Force. Picture - Northrop YRB-49A with six engines, two of which are mounted externally. The prototype reconnaissance platform, the YRB-49A, first flew on 4 May 1950. After only 13 flights, testing ended on 26 April 1951. It was then flown back to Northrop's headquarters from Edwards Air Force Base (formally Muroc) on what would be its last flight. There, the sole remaining Flying Wing sat at edge of Northrop's Ontario airport for more than two years, abandoned. It was finally ordered scrapped on 1 December 1953. The YB-49 and its modern counterpart, the B-2, both built by Northrop, have the same wingspan: 172.0ft (52.4m). 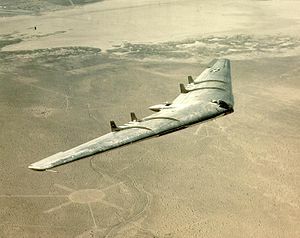 All Flying Wing test flight data collected, including, at the time, the aircraft's undervalued invisibility to early radar, was used in the development of the advanced B-2. Thirty years later, in April 1980, Jack Northrop, now quite elderly and wheel chair bound, was taken back to the company he founded. There, he was ushered into a classified area and shown a scale model of the Air Force's forthcoming but still classified Advanced Technology Bomber, to be known as the B-2A. It was a sleek Flying Wing. Looking over its stealthy, all-wing design, Northrop was reported to have said: "I know why God has kept me alive for the past 25 years." A short while later, Jack Northrop was dead after a long life as one of America's visionary aviation pioneers. Picture - YB-49 takes to the air for the first time. Picture - Partially completed YB-35B airframes lined up for completion or conversion to YRB-49As. Coleman, Ted. Jack Northrop and the Flying Wing: The Real Story Behind the Stealth Bomber. New York: Paragon House, 1988. 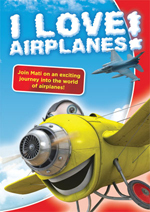 ISBN 1-55778-079-X. Donald, David, editor. "Northrop Flying Wings". 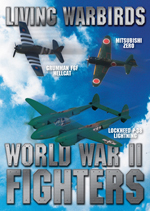 Encyclopedia of World Aircraft. Etobicoke, Ontario: Prospero Books, 1997. ISBN 1-85605-375-X. Maloney, Edward T. Northrop Flying Wings. Corona del Mar, California: World War II Publications, 1988. 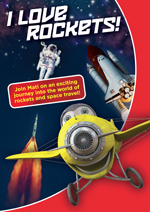 ISBN 0-915464-00-4. Pape, Garry and John Campbell. Northrop Flying Wings: A History of Jack Northrop's Visionary Aircraft. Atglen, PA: Schiffer Publishing, Ltd., 1995. ISBN 0-88740-689-0. Winchester, Jim. "Northrop XB-35/YB-49" Concept Aircraft: Prototypes, X-Planes and Experimental Aircraft. Kent, UK: Grange Books plc., 2005. ISBN 1-84013-309-2. Wooldridge, E. T. Winged Wonders: The Story of the Flying Wings. Washington, D.C.: Smithsonian Institution Press, 1983. ISBN 0-87474-966-2.